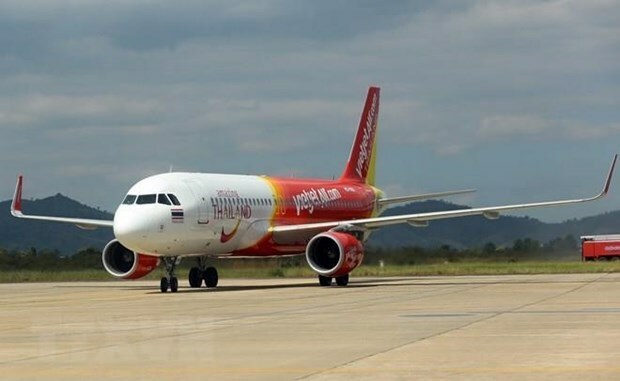 Hong Kong (VNA) - Low-cost carrier Vietjet has announced its operation plan for the Hong Kong market and the launch of a new route linking Phu Quoc and Hong Kong, one of Asia's most well-known destinations. The Phu Quoc-Hong Kong route will operate return flights with a frequency of four flights per week, starting from April 19. With a flight time of two hours and 45 minutes per leg, the flight will depart Phu Quoc at 10:50am and land in Hong Kong at 2:35pm (local time) while the return flight will depart from Hong Kong at 3:40pm and arrive in Phu Quoc at 5:25pm (all local times). “After nearly three years of operating our HCM City-Hong Kong route, Vietjet has gained the love and trust of Hong Kong residents, business people and international tourists, and has contributed positively to the promotion of air travel and trade between Vietnam and Hong Kong as well as across the region,” said Luu Duc Khanh, Vietjet’s managing director. Khanh said the airline has thus far transported more than 300,000 passengers on this route, which includes a significant number of transit passengers who boarded in Hong Kong. The director said the new direct route between Phu Quoc and Hong Kong, the first direct flight connecting the two destinations, will enhance the flying experience and reduce travel time for passengers, as well as offer flight opportunities for millions of people. Victor Liu, deputy director of the General of Civil Aviation Authority in Hong Kong, said that Vietnam and Hong Kong have enjoyed very good and long-standing economic and social relations. “With the addition of the direct passenger services between Hong Kong and Phu Quoc, it will no doubt further enrich the bilateral links between Hong Kong and Vietnam,” he said. Known as “the Pearl Island”, Phu Quoc is the biggest island in Vietnam. As one of the most talked-about tourism destinations in Asia with beautiful beaches and friendly local people, Phu Quoc in the southern province of Kien Giang has attracted strong levels of investment in hotels and resorts in recent years and has become one of the most popular holiday destinations in the country.